While Wixo LPR Piacenza has had some financial problems the last few seasons, this was the first year their deficits became too much to overcome in order to remain in the top flight of Italian professional volleyball. Back in July it was announced they will be playing in Serie A2 next season. 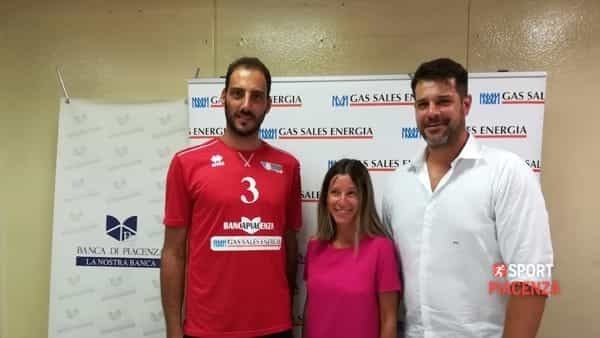 They were able to keep a familiar andaccomplished player to wear red as they look for success in a new league, Alessandro Fei. The opposite/middle blocker has played for 22 seasons in the Italian SuperLega (or Serie A1) and has won 4 championships with Sisely Treviso. Fei had received offers from teams in the SuperLega, but has declined them in order to stay in Piacenza. He went on to say that he has enjoyed great support from the community, and his top priority is to get Piacenza back into the SuperLega. They will open the Serie A2 season on October 14th against Pool Libertas Cantù.